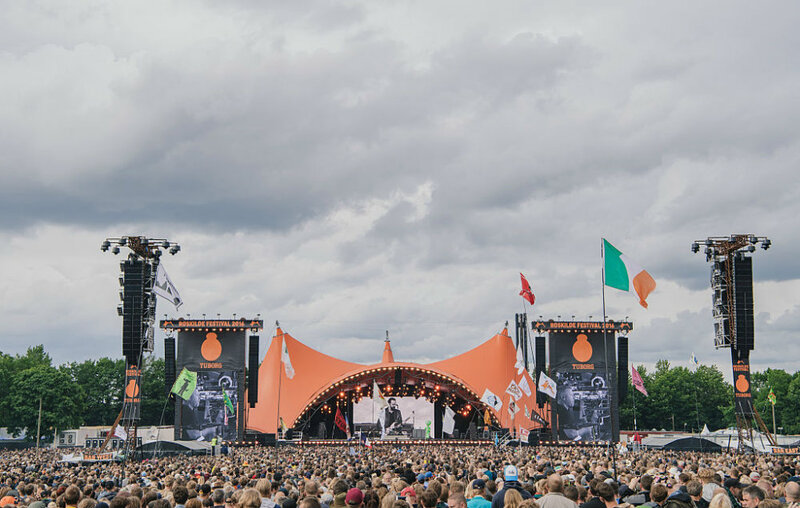 This weekend sees the start of the 47th Roskilde Festival, where 130,000 revellers descend on the town to make it the fourth largest city in the country. It’s an epic eight day event with over 180 acts on the line-up. With some of the biggest names of the 2017 festival season (alongside the best up-and-coming names from Scandinavia), here’s who and what we’re excited to see at this year’s Roskilde Festival. The Canadian indie rock icons will headline the main Orange stage on Saturday night, and with their recent set at Primavera Sound proving a bombastic success, excitement for the sprawling band’s Roskilde set is a given. A much weirder curiosity will be Win’s performance as DJ Windows 98 in the new music and arts club area, KlubRÅ. DJ Windows 98 fires up dancey remixes of popular hits by the likes of The Knife and Kanye West, throwing it all together with a whole lot of glitter and love. No moody Nordic noir here. The Countdown Stage offers a platform for hotly tipped Scandinavian electronic acts during the warm up days of the festival at the start of the week. Pop and rock acts find a home on the Rising Stage. This year we’re looking forward to dreamy pop from IRAH, quality house from Farveblind and sumptuous grunge from ML Buch. When it was announced that A Tribe Called Quest would cancel their scheduled Saturday night headliner show at Roskilde, there was a wave of panic. Then the festival announced that Ice Cube would be taking the slot, and the universe suddenly felt all well again. The N.W.A rapper is flying over specifically for the Danish festival, and will be playing no other European dates this summer. At his show at last year’s Coachella, he reformed N.W.A. Unlikely for Roskilde, but could a Dr Dre hologram be on the cards? She’s Norwegian, her debut track ‘Don’t Kill My Vibe’ has racked over 11 million Spotify streams, and we’re pretty obsessed with her. You can read Sigrid’s NME Under The Radar interview here. Sigrid is part of that breed of Nordic popstar who just manages to write huge, edgy pop anthems seemingly effortlessly, and pull it all off whilst looking really, really cool. She’ll play the Apollo stage at midday on Thursday, banishing any lingering hangovers from the night before. Fans of sad, soggy festival chips look away now. As part of their sustainability movement, Roskilde have promised that 90% of the food at the festival will be organic. That includes the food from Crick’it, a collaborative effort from edible insect companies Bugging Denmark, a cricket farm, and Insekt KBH, who make bug infused fruit juice. They’ll be working with Suhrs Folk High School and the chef Rasmus Leck Fischer to make fine dining with an earthy festival twist. #FoodPorn. Last week’s NME cover star, the Kiwi pop hero Lorde, will take to the Arena stage on Friday night at 23:30, all guns blazing. Following last week’s release of the singer’s second album, Melodrama, she’s likely to face an easy crowd of dance-happy fans at Roskilde Festival. Prepare yourself for big moves during mega-bangers ‘Green Light’ and ‘Perfect Places’. This story originally appeared on NMW.